In the film the Korean Urn is used as a metaphoric object, visually and audibly in a poetic way. In ancient times people communicated through drumming. In the dance, the urn becomes an instrument of percussion and the symbol of global communication. It is a representation of awakening souls. The film was shot mainly at Keimyung University Korean traditional house, in Plum village, at the Royal Palace garden in Paris, and Rochechouart castle in France. ODE ON A KOREAN URN conveys longing for home and hope. Hyonok Kim graduated from the University of Paris IV Cursus de Diplome in 1983, and received a Ph.D in dance performance. She studied film directing at the New York Film Academy in 2005. Dr. Kim received the 1992 Gold Award Dance on Camera with the dance film "Teile dich Nacht" in collaboration with Jean de Boysson. She directed the dance film "Isle of the Waiting Souls" which was officially selected by the Moving Image Film Festival, Toronto, Canada, and the Jumping Frames Dance Video Festival in Hong Kong. 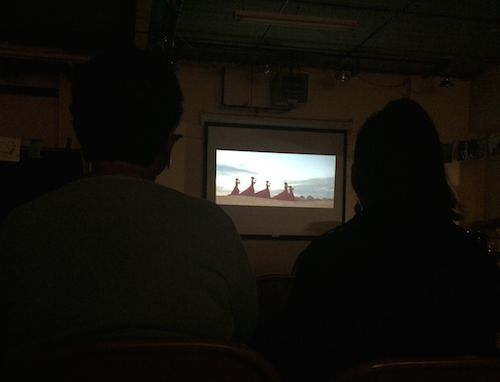 Her film, "Spirit of the Pinnacles", was officially selected by the Sans Souci Festival of Dance Cinema. Her dance films have been presented by the Shanghai National TV, KBS (Korean National TV), and Canal + TV in France. Her choreographies were warmly received by the press and have toured in 22 countries including Korea, China, Japan, Australia, U.S.A. Germany, and France. She is currently faculty in the Dance department at Keimyung University, South Korea.